Finally finished ! 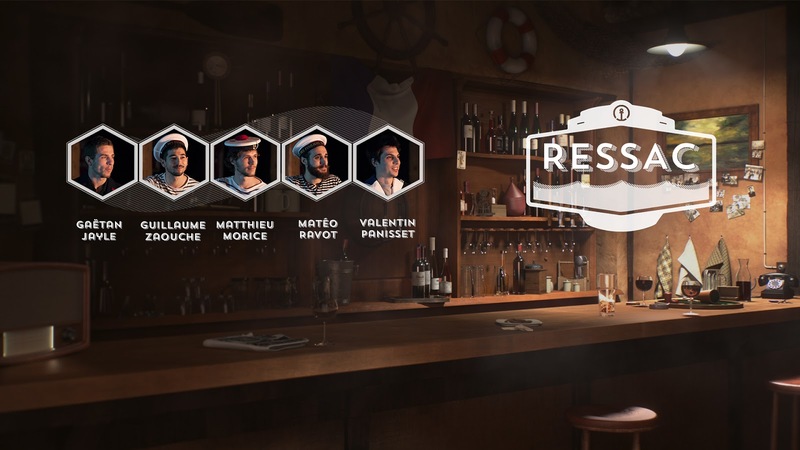 We worked during one year, with 4 teammates, on a 5mins graduation film named "Ressac". We'll submit the film on festivals and hope it'll please to people who gonna watch it. This is why it's not on the internet yet but here's my crew in our "film poster". I hope you will like it ! I also created a Tumblr, but i'll try to keep updating my blog which will be now a "diary". The tumblr is used as a "portfolio" where only completed works appear.